This is a traditional French Lamb Stew served in the late Winter or Spring with turnips and other seasonal vegetables. Navarin comes from the French word for turnip, the “navet.” The vegetables are cut into “Cocottes,” which are elegantly tapered football shapes….ah, the French. Since this does not add the the flavor of the dish, wastes part of the vegetables, and will take us forever to cut….we are going to forego that step. Due to its high concentration of connective tissue, lamb shoulder requires several hours to properly cook. As such, we will be cook the shoulder Sous Vide and provide the braising liquid to dramatically reduce the cooking time. 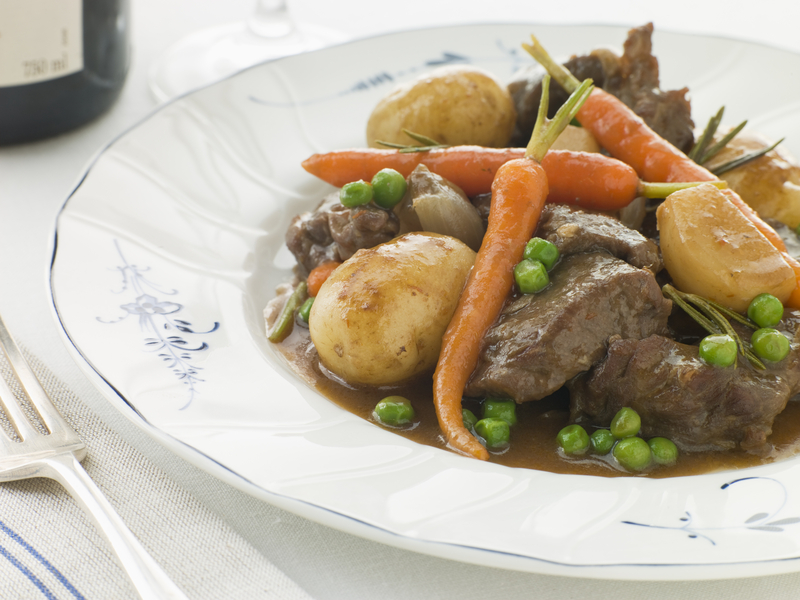 The Navarin d’Agneau will taste as though it was simmering on the stove all day long.